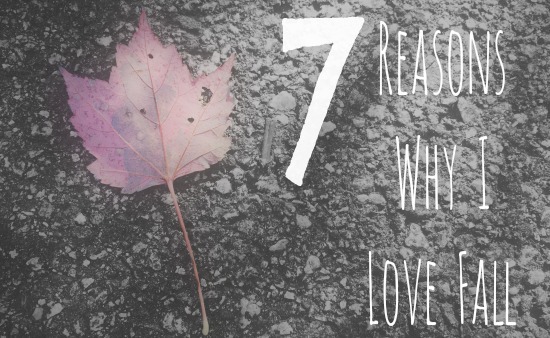 We’re right in the peak of autumn here in New England and even though it means the temperatures are soon to drop, I can’t help but think of the reasons I love this season. Living in Connecticut my entire life means that I’ve been exposed to the beautiful foliage that comes in the months of September and October. I can’t help but be amazed at the beauty God created for us to enjoy in this part of the country. 2. Apples, apples & more apples! Fall is the season of the apple. Sure, apples are around all year long, but fall is the prime time for apple picking and as a result we see the rise of apple-flavored treats such as apple pie, apple crunch muffins, caramel & candy apples, and who doesn’t love enjoying a nice hot cup of apple cider on a crisp autumn afternoon? There’s nothing like going for a walk and enjoying the smell of the fallen, crisp leaves and the wood stoves burning in the neighborhood. Yeah, you don’t need a specific time of year to enjoy hot chocolate, but no one can deny that getting a nice hot cup of hot chocolate after being out in the chilly-to-cold autumn temperatures is the best (other than after shoveling in the winter, of course). Fall means it’s time for football. Not just the NFL either. My cousins and their pals get together on Saturdays during this time of year to get out and play flag football and I’ve been making videos of them playing for the past 3 years. I do still enjoy watching Sunday football though, especially with my dad. Go Giants! Whether you have a person to cuddle with or not it’s just as nice to get buried under a blanket, or five, with the hot beverage of your choice and a movie. Though I really hate the cold that comes as autumn turns into winter, I love that this is the season where the bugs begin to go away and I only have to deal with the occasional spider here and there until April.